Exactly a year ago, I read this article on Virudhunagar Ennai Parotta, the pictures were so sinfully tempting! I have lived all my life in Tamil Nadu and still this one was new for me. As expected I was taken in so much that I wanted to rush in right away to make these. I was however not able to make these and it looks like it has taken me a year to finally share this. Of course, this was one of the first posts I made for the Indian States. Parottas are flaky, layered Indian Bread, mostly made popular by the road side shops that you find all over Tamil Nadu. 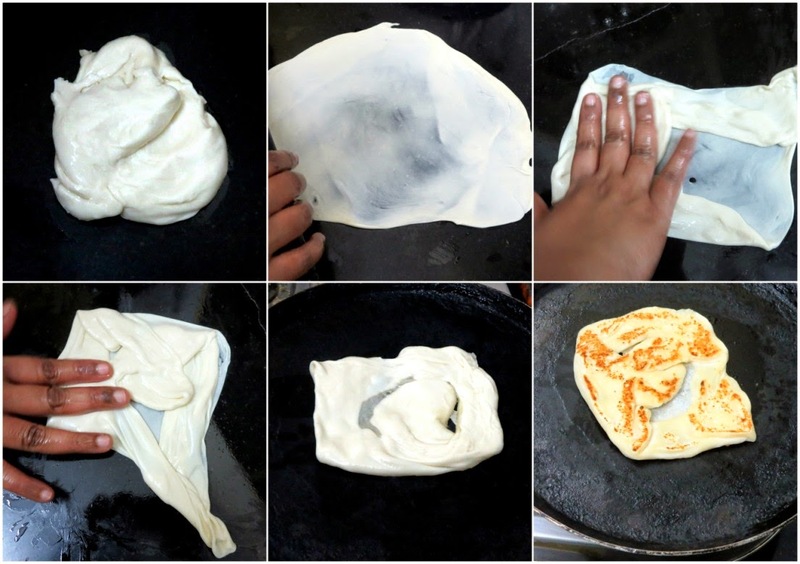 It's really such a wonderful art to see a parotta master flipping the parottas in the air and swirl it to a rope and quickly gathering it as a ball and pressing it down as a roti. The parottas are made with All purpose flour, with loads of oil and rested for over hours to get that crispy, flaky texture. There is quite a few variety to the parottas. 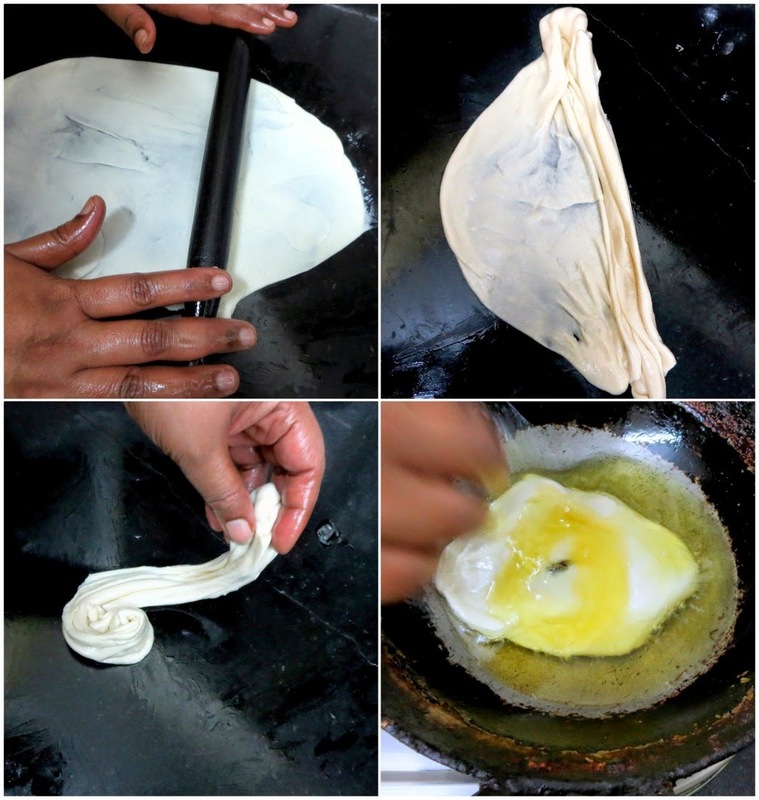 The regular layered parotta is prepared by just swirling in the air, gathering the pleats and pressing as small discs. 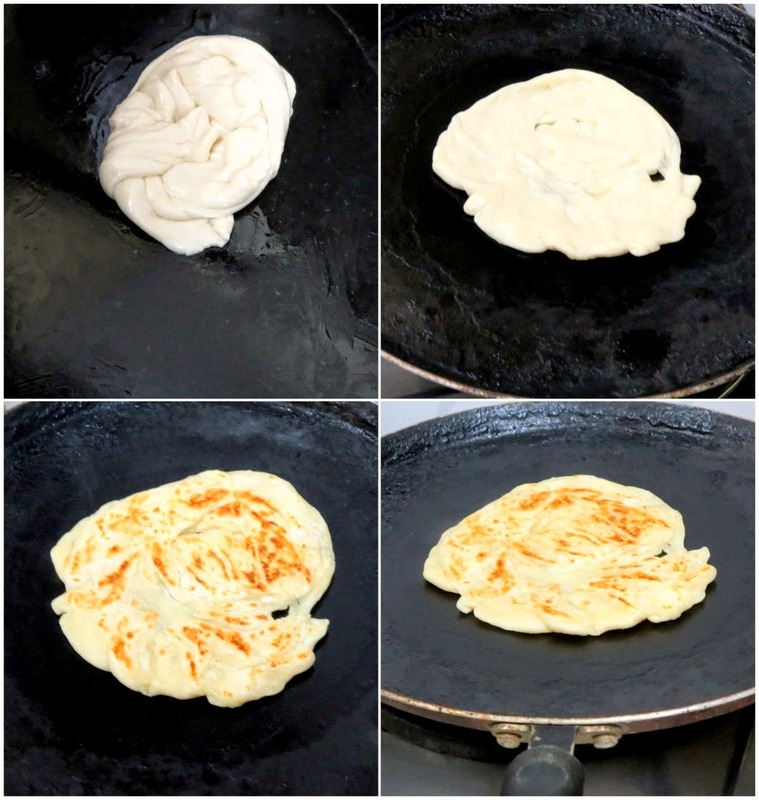 Veechu parotta are made with the same dough, the technique varies, wherein the rolled out disc is swirled in the air, which gains momentum and becomes very thin. The layers are gathered and folded as an envelope. These are famous in Madurai, a city in TN. 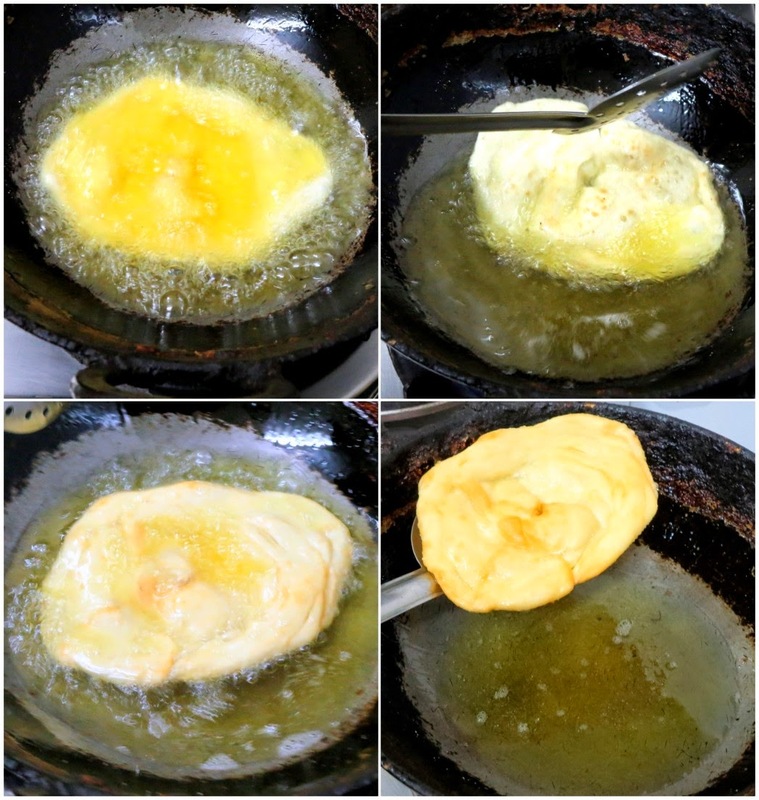 The Virudhunaga Parottas are made as the regular parottas but are deep fried in oil. 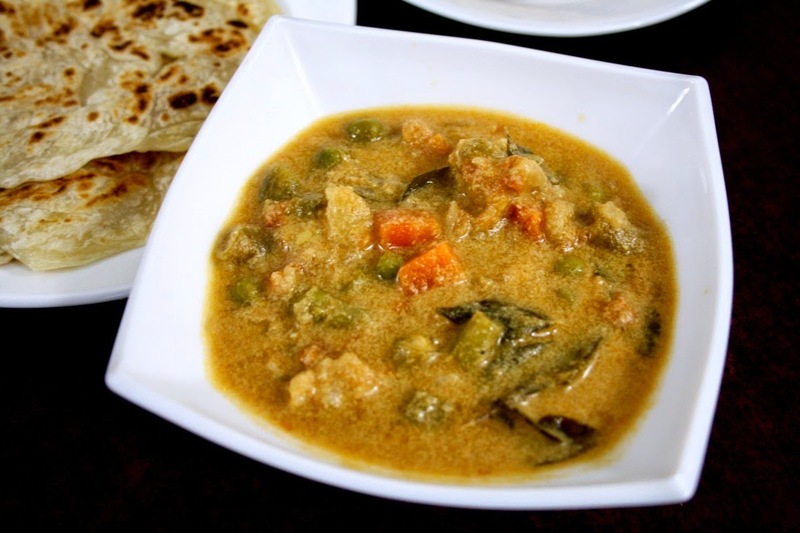 Regular Parottas, which I make a bit more healthy by adding in the Wheat flour, is a regular dish made at home along with Paneer Butter Masala and is a favorite with my kids. In fact, only on rare occasions, I end up making Parottas with only All purpose flour, not because it is not healthy, but because I mostly don't have time to get it soaking for dinner. So when I decided to short-list bread for Tamil Nadu, I was wondering for a while on what I can make. Parotta was an immediate choice. Since having made already, I was thinking what else I could make when I suddenly remembered this Porucha Parotta. I did a quick search and landed on the Article I read many months ago. 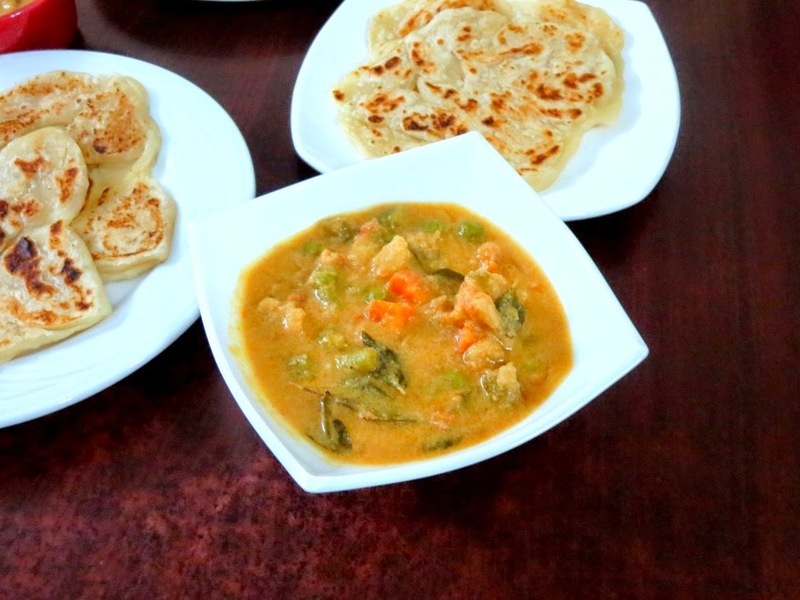 The search also led me to Manjula's post, where she has made a whole platter with different shapes along with the Vegetable Salna. I decided to do the combination and checked for few more variations I might find for the Vegetable Salna. I finally adapted Manjula's and few of what I had bookmarked. The combination was super duper as expected. Konda, who already loves Parotta, was so excited by the fried one. Our dinner was a real hit. 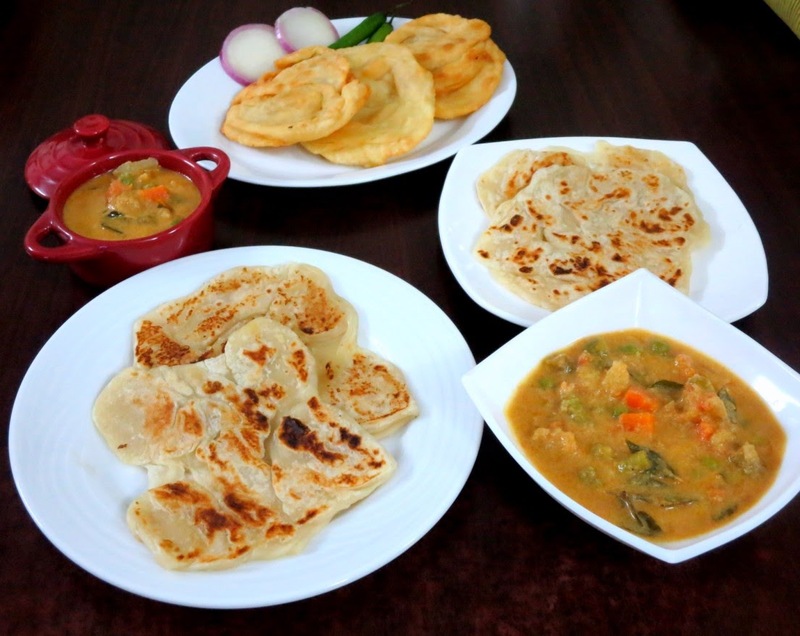 I even took the parotta and chalna for my colleagues, who wanted to taste the fried one as well. 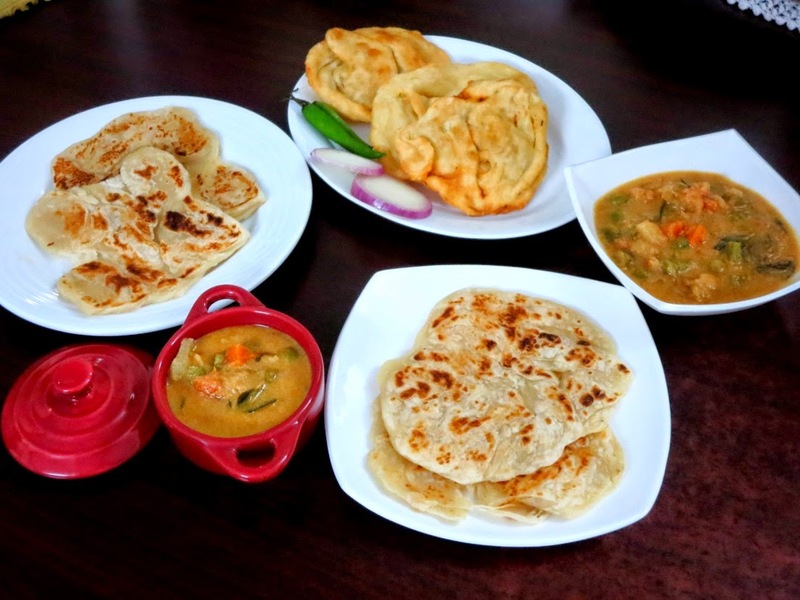 Coming to the similarities, this is exactly like the Fried Paratha from the Paratha Wali Gali Paratha, where the pan fried bread is deep fried and takes it to another level altogether! 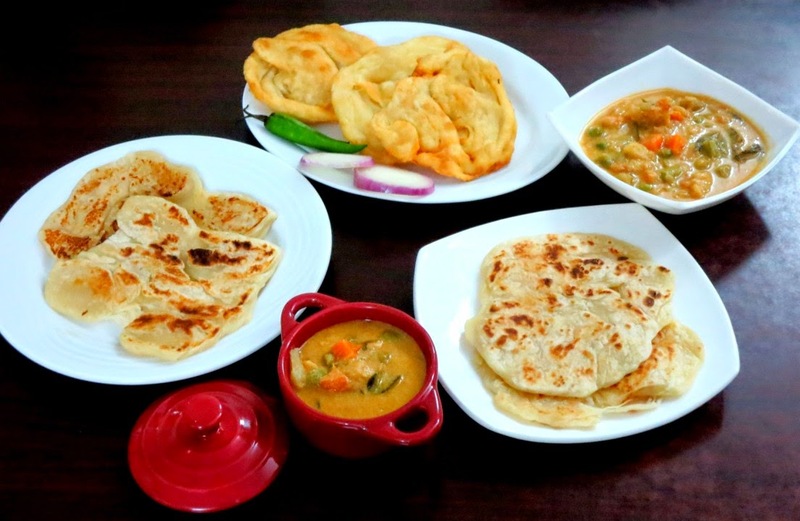 Living in Madras, I know I should have done a more elaborate spread to showcase my place's beautiful cuisine, but trust me, these parottas fill up like nothing and you are left so full and sated! In a bowl, take the flour, salt, oil and knead them to a very soft dough. Roll the dough over oil and rest for an hour. After one hour knead again, by adding little more oil. Now divide the dough by taking a small portion and pressing them between you index finger and thumb so that you get tight balls. 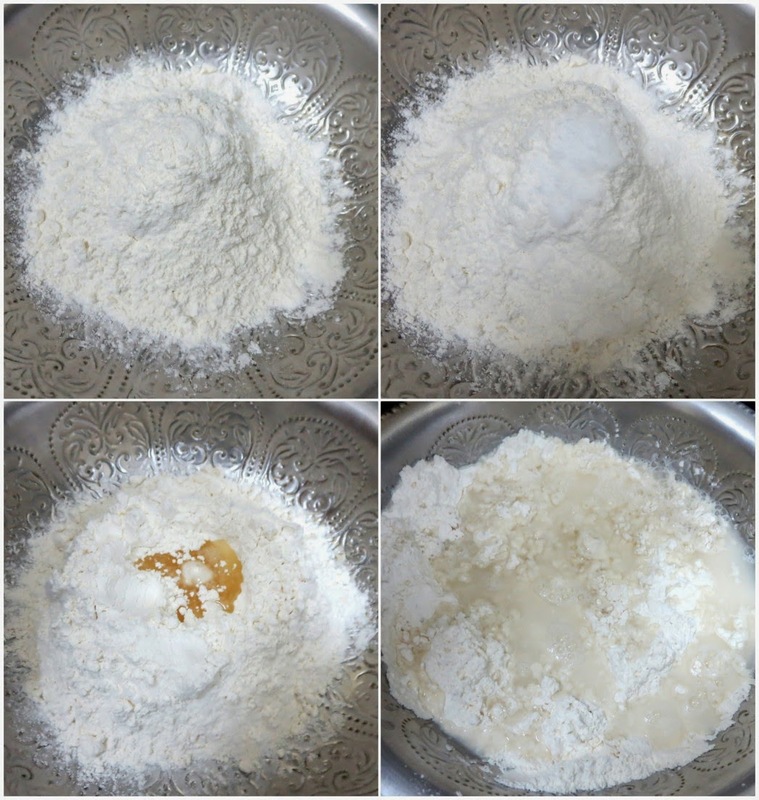 Now arrange the bowls in bowl or tray and add 1/4 cup of oil to it nicely spread all over each ball. Rest this for about 1/2 an hour. After 1/2 an hour press the balls with your fingers and form a disc shape in a greased platform . Pour a teaspoon of oil on the ball, press with your hands and roll out as lengthy as you can. Then fold in and fold out till you reach the ends. You will get a rope at this stage, then swirl around as a ball. Grease your hands with oil and press out as discs. Heat a Kadai with oil. 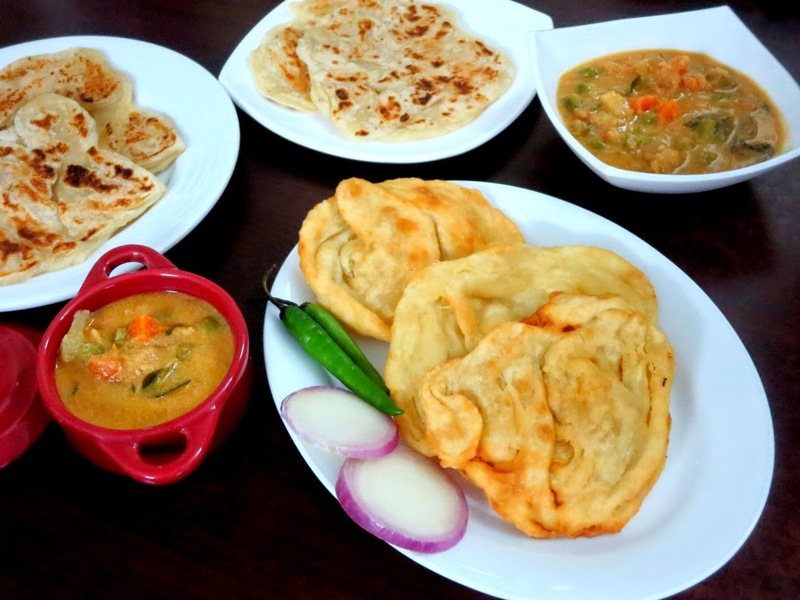 Once it is hot, deep fry the parotta on both sides. 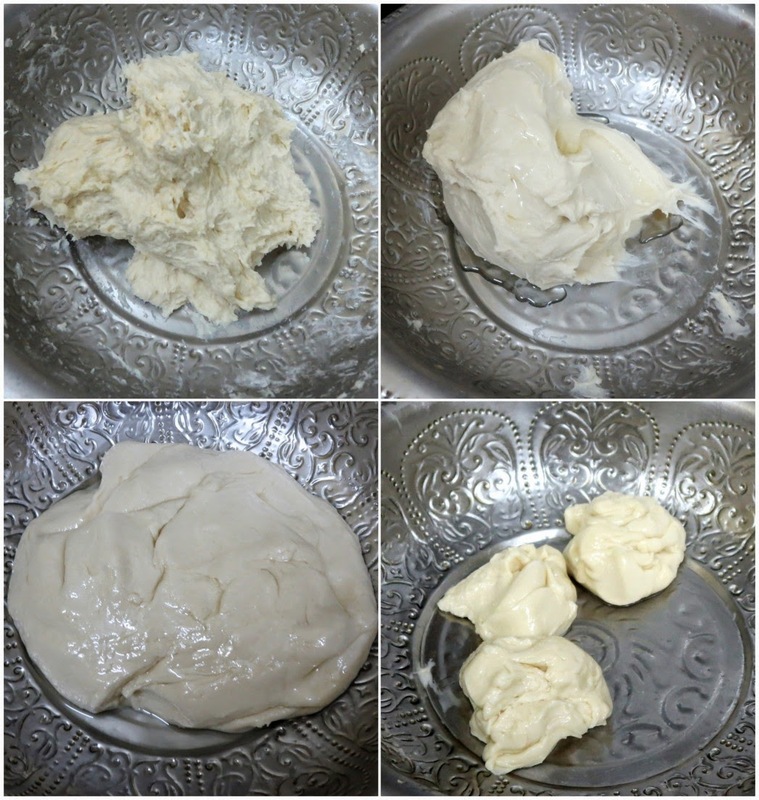 For the Veechu parotta, the dough is the same. Except after you pinch down a ball, grease more oil, roll out a thin disc, or you can lift and drop the disc so that it starts spreading a thin layer. Then start folding from one corner, first the opposite sides and then enclose from the other sides like an envelope. This forms a square or rectangle. 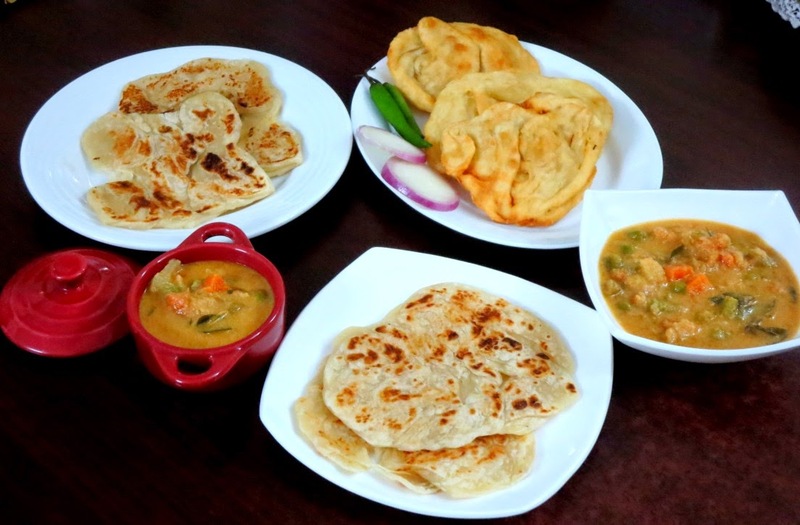 Heat a Tawa, grease with oil and cook the parotta on both sides. 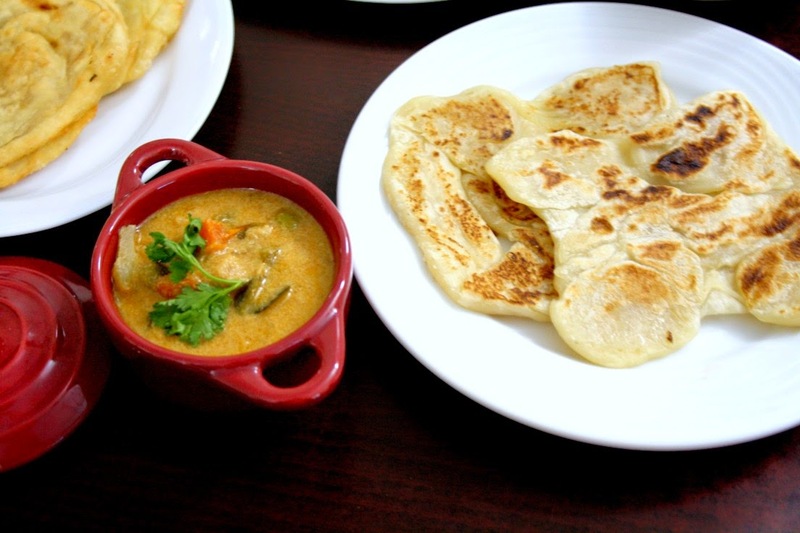 For regular parottas, you can make it the same way as Ennai Parotta, but just pan fry with oil on both sides. Grind this to a smooth paste and keep it aside. Wash and prep the vegetables. Soak the cauliflower in salted hot water for 10 mins. Drain the cauliflower and add the other vegetables and MW for 8 mins. In a nonstick pan heat oil, add bay leaves, Clove, Cardamom, finely chopped the onion and saute till they turn translucent. Then add ginger garlic paste and saute. Now add tomato, salt, cover with lid and cook till mushy. Then add red chilli powder, turmeric powder, coriander powder and mix well. 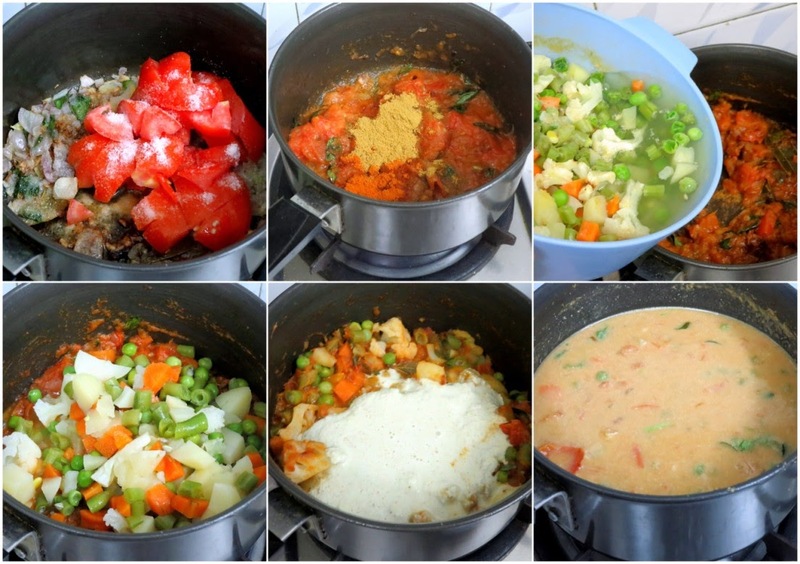 Add the boiled vegetables and mix them well till the masala gets well coated. 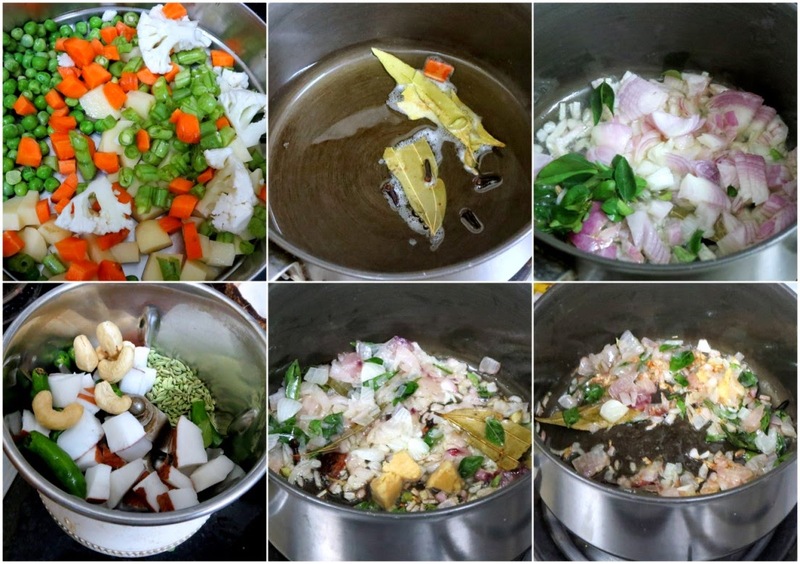 Reserve the stock from the boiled vegetables. Now add the reserved water from the boiled vegetables. Bring to boil. Add more water if it's not enough. Simmer for 5 mins. Next, add the ground paste to the boiling vegetable and cook again for 5 - 7 mins. Once the gravy gets the consistency and the masala is cooked well, you can garnish with coriander leaves and switch off.